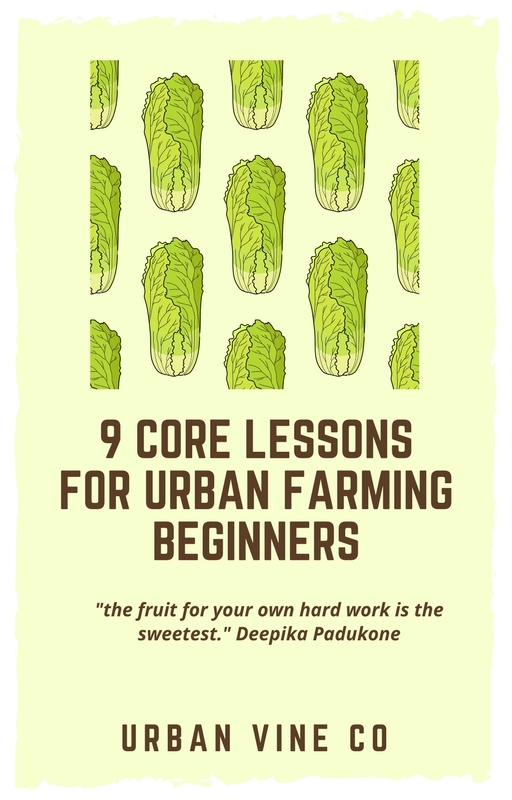 Are you trying to learn more about urban farming? 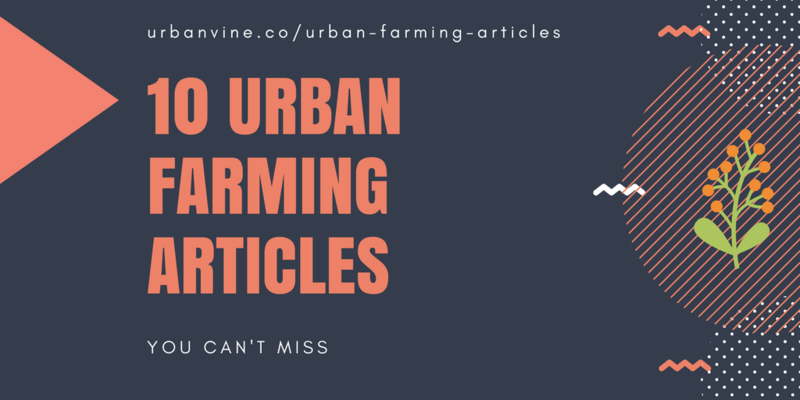 In this article we summarize the most popular urban farming articles written across the internet in the last 12 months, as measured by social media shares and activity. The "Agrihood" is a 3-acre urban farm located in downtown Detroit, Michigan. The project is sponsored by MUFI, the Michigan Urban Farming Initiative. The "Agrihood" attracted new investment in nearby real estate, and MUFI, a non-profit, provides food for over 2,000 inner city Detroit families that experience food insecurity. This is the 2nd Agrihood to be built, the first is located in Davis, California. This article discusses a joint project between Appetite For Change, a Minneapolis based community led organization taking on issues such as food insecurity and food justice, and "The Beats and Rhymes Crew", a musical group known for making viral music videos. This viral video, titled "Grow Food" takes place in downtown Minneapolis and discusses the dangers of poor diets and food insecurity. There's even a shout out to Michelle Obama at one point! The video quickly went viral on Facebook. With over 57k shares, this is one of the most successful social media campaigns of all time for Appetite for Change. Fresh off of Appetite for Change's successful "Grow Food" video (#2 article above) came a generous donation from NFL star Colin Kaepernick. The pro athlete and activist donated $25,000 USD to the Minneapolis based organization to help fight issues like food insecurity and food deserts. *Since the publishing of this post, the amount of shares on this article has climbed to over 180,000! This article starts with an overview of Urby, a 900 residential apartment complex in Staten Island that is the first of its kind. 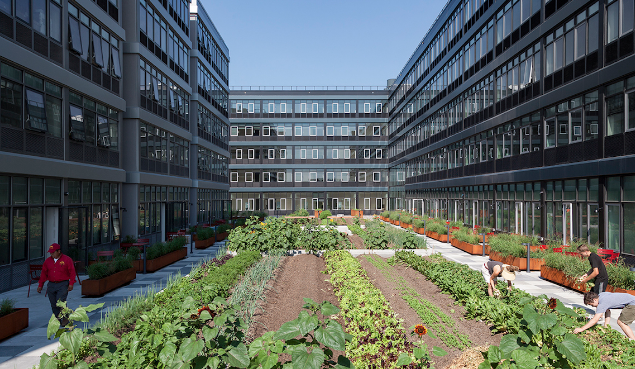 Inside the Urby complex, a 4,500 square foot urban farm produces over 50 different types of vegetables and flowers. The set up is so intense that an "urban farmer in residence", Zaro Bates, oversees the production, which produces multiple tons of vegetables, enough to supply a food bank and 3 restaurants so far. The value has been measurable for the apartment complex also: new residents often site the urban garden as their primary reason for moving in. The article concludes with a 5 question interview of Zaro Bates herself! 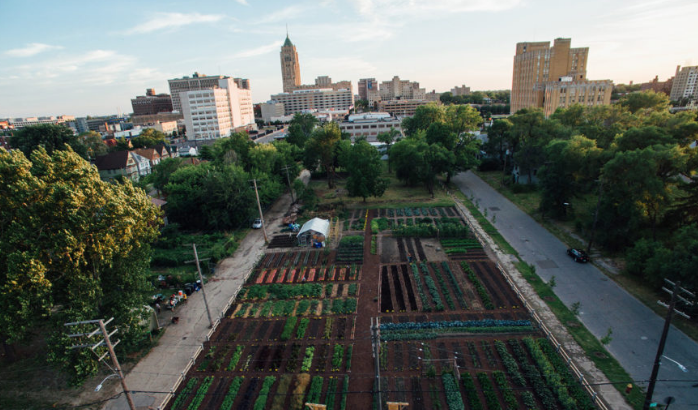 This article details the unprecedented amount of funding being granted to urban farms in the United States by the USDA. In 2016 alone, 12 commercial urban farms were awarded grant money from the US government (the highest amount of urban farms ever funded). USDA Microloans are the most common loan urban farmers are taking advantage of. Created in 2013, USDA microloans have provisions for "non-traditional" urban farming equipment like led panels. The rising support for urban farming over the past 5 years is not just evidenced by programs such as the USDA microloan program, but by other USDA initiatives, including an "Urban Agriculture Toolkit" that provides information to help people start urban farming projects. This article discusses Jones Valley Teaching Farm, a 2 acre urban farm located in Birmingham, Alabama. One unique aspect of this urban farm is that it is 100% "in-ground", with no hydroponic or aquaponic growing present. 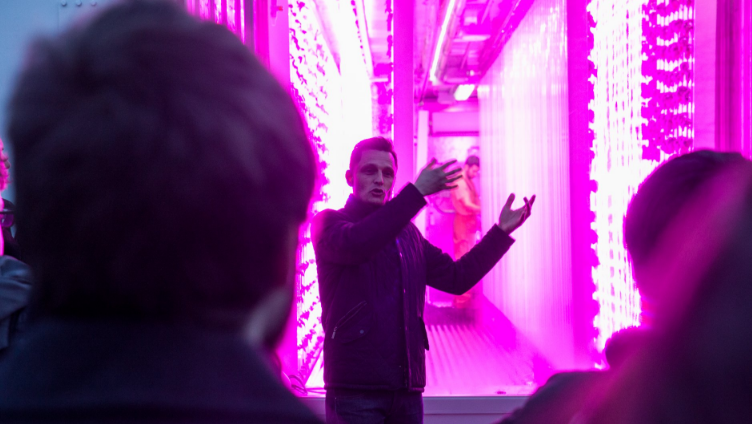 Kimbal Musk and Tobias Peggs launch square roots, a Brooklyn, New York based vertical farming "incubator" where 10 young aspiring urban farmers develop innovative vertical farming systems. 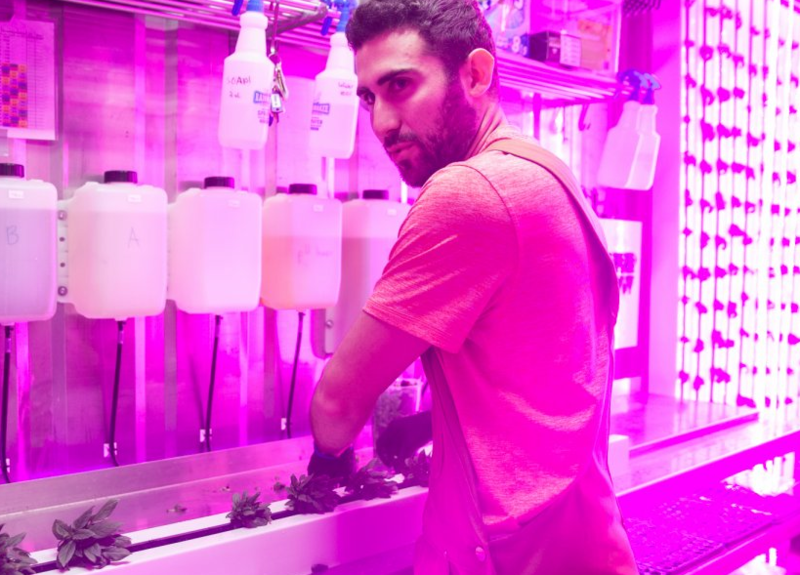 This article by business insider is a photo-based exploration into the vertical farming systems some of the entrepreneurs, such as Josh Aliber (pictured above) and others. This article details the movement across the US to turn lawns into urban farms that produce greens such as baby lettuce and kale. One organization at the forefront of this movement is Orlando-based nonprofit Fleet Farming. Fleet Farming plants then maintains urban farms in people’s front yards. Residents then keep part of the food they produce. Volunteers harvest the remaining crop to sell at local farmers’ markets and restaurants. For those that are more audio-inclined, there is also a short podcast attachment to this article. Dig in! 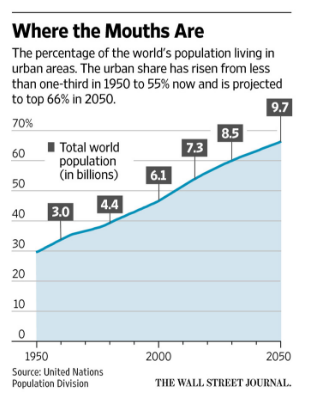 This WSJ article highlights the growing trend of urban farming in modern times. 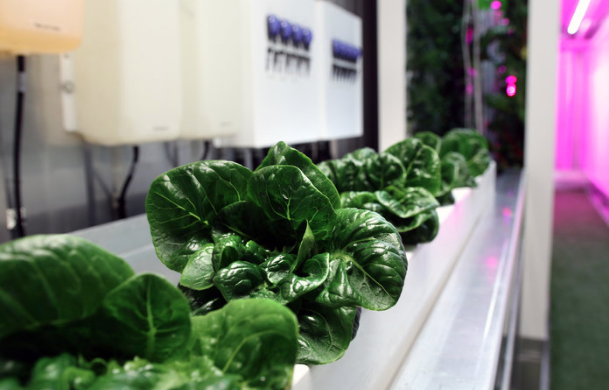 It details the emergence of urban ag companies like Aerofarms, a newly opened 70,000 sq ft urban farm in Newark, New Jersey. The article also explores why crops like leafy greens are so commonly grown in urban and vertical farms over fruits like avocado. The reason? "Light costs money." To access the full article, click below! Did you like this article? Join our community thousands of urban farming beginners and enthusiasts by subscribing to our email list!